This week has been spent finally sorting out my gaming corner. It doesn't look too spectacular however I am happy to have all my old consoles in one place. I have also managed to get back into my gaming routine now I have finished Archer. Next week I am aiming to get into a more settled routine and I am also heading down to London. Been watching : I have finally finished Archer but I am now working my way through Bojack Horseman. Been reading : This has just been the Playstation and Xbox magazines. As part of my new routine I am hoping to start reading on a night. 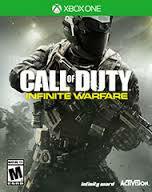 Been playing : Call of Duty has been what I have started playing through. I can't wait to start playing through this more and more. Been listening to : Lucy Spraggan has been top of my playlist lately and I can't get enough of her. Bought : There is far too much, check out my previous haul posts to see what I have been buying.